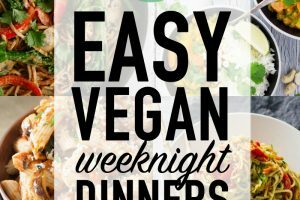 Recently, The Vegan Society asked me to help create them a vegan Easter menu, including a starter, main, side and dessert. I was so excited to showcase some recipes that would appeal to both vegans and meat eaters, using fresh, seasonal ingredients. 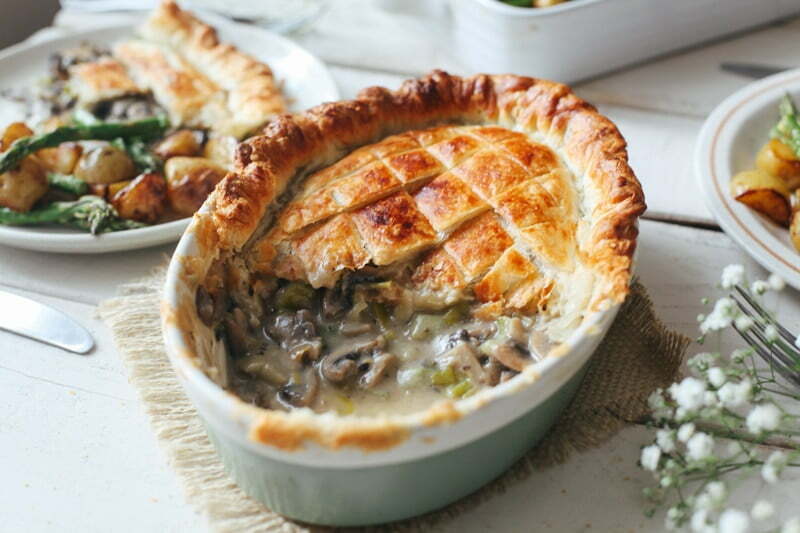 One of the recipes I created was this Creamy Mushroom & Leek Pie, which is so easy to make and absolutely diviiiiiiiiine. One of my new favourites. I’m so proud of that golden crust. Look how crispy and delicious it is! I’ve tried numerous things in the past to get this finish and finally tried aquafaba (the liquid from tinned legumes – more info here) and it works perfectly. Not only does it give this beautiful golden colour, but it also has a natural gluey texture which helps stick the pastry to the dish. I served the pie with my Balsamic Roasted New Potatoes & Asparagus which paired wonderfully. Very hearty and satisfying! Add the olive oil to a large saucepan on a medium heat. Fry the leeks and garlic for 2 minutes, to soften. Make sure your puff pastry is at room temperature (if using frozen, leave at room temperature overnight) and preheat the oven to 200C. 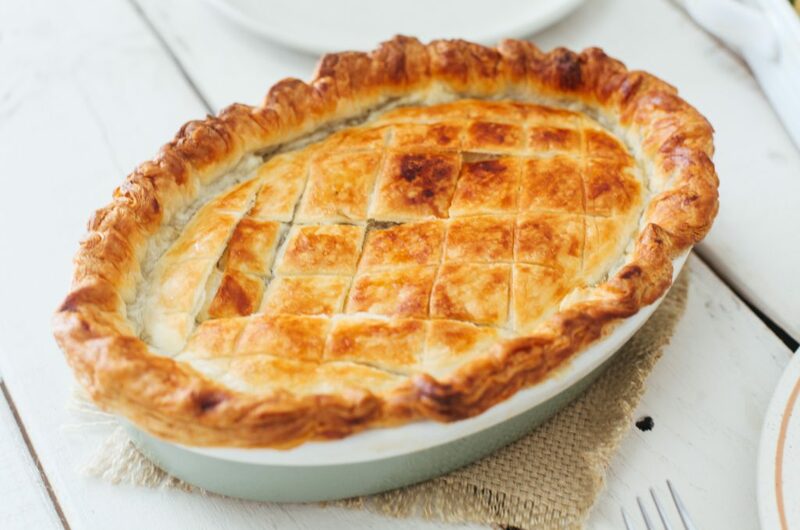 Add the leek and mushroom mixture to a pie dish and top with the puff pastry, cutting off any excess pastry around the edges. Crimp the edges using a fork and score a criss-cross pattern on the top with a sharp knife. Finally, dip a pastry brush in the aquafaba (or a little dairy-free milk) and brush the top of the pie, to help it brown, plus secure the edge of the pie crust to the dish. Me and my varsity room mate made this and this recipe is not only delicious but also cost effective and not that complicated. Thanks so much for this delicious recipe! Hi! What would be the best type of milk to use for the filling? This recipe is amazing. I really enjoyed making it & The whole family loved it. We are a vegan family of 6 & The whole lot was polished off! 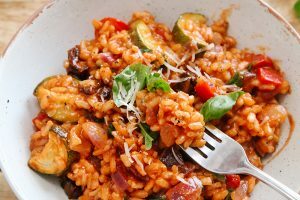 Thanks for such a fab recipe this will now be a regular meal in our household . Are you able to freeze this before you bake it? My bf is vegan and I started off wanting to make this for him but ended up making more for my non vegan family.. everyone loved it! It’s a keeper for sure. Thank you for sharing ♥️ Do you know if it could be made in advance and frozen? 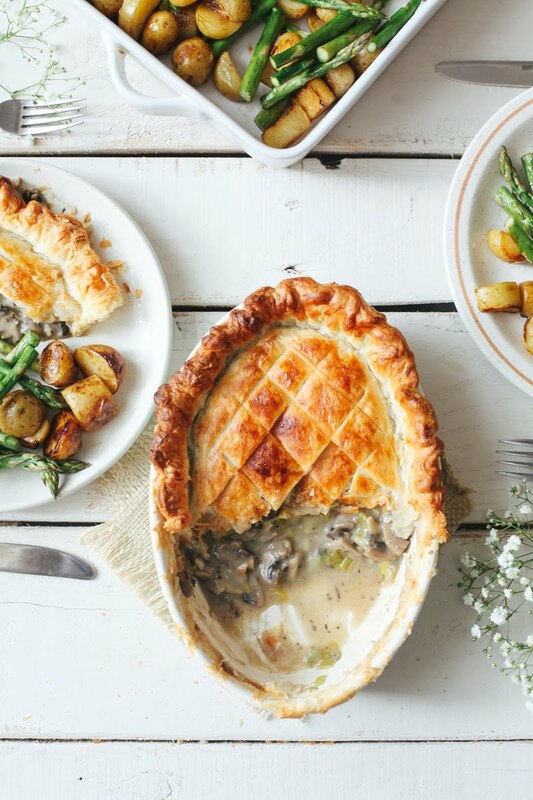 I usually cook pies fresh but was curious if anyone has tried to with this recipe? Used this recipe as a guide for a new family treat. Was utterly delicious, one of those "I can't believe it's vegan" meals, really cheesy and creamy. Thank you for the recipe, it is going in the book. That makes me so happy to hear - thank you Catherine! Halved ingredients and made a lovley pie for 2 have just sent link for recipe to friend as its to good not to share and so easy to make. 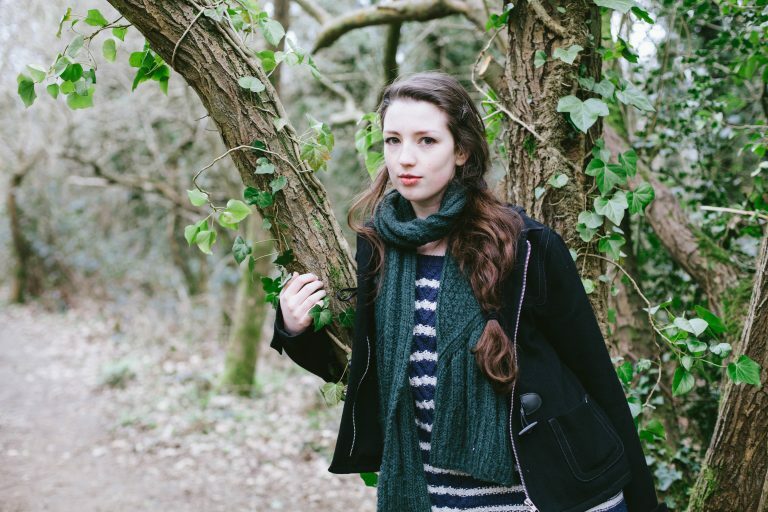 So happy you enjoyed it - thank you for the lovely comment, Cazzie! I made this last night. To the recipe. It was so good. It made 10 pies in my pie maker. I will def make this again. Easy and delicious! Thanks! YUM!! what kind of sized dish would you suggest? 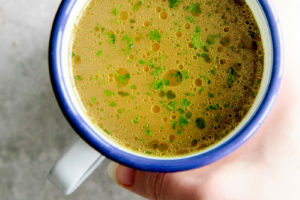 This looks so delicious and I would love to try this recipe. However, I'm not a mushroom fan at all. What can I use for a mushroom substitute? 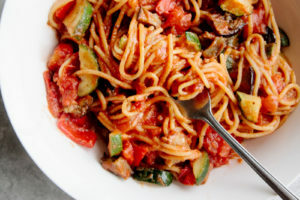 This recipe is sooooo delicious! I have made it several times. My husbands thinks it’s the best pie he’s ever eaten! loved ur recipe will surely try thanks for sharing. OMG - Made this today and it was super tasty! Even the non-vegans loved it; saying that they didn't miss the chicken at all. Only things I added were a little onion and garlic granules to the sauce ;) Thanks for another awesome, simple recipe. YUM! This dish look beyond fab. My little one loves mushrooms, so I'll have to give this a go! This looks gorgeous - I can't wait to try! I've also featured this recipe in my most recent post of winter warmer recipes to try! Just cooked this and was delicious! 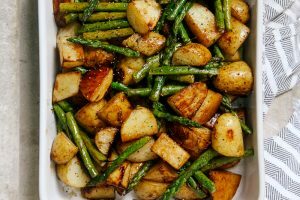 Very hearty meal made with asparagus and new potatoes. Was my first pie :) easy to follow recipe will def be making this again thanks! The crust is so crispy and the filling sounds delicious! Perfect recipe for April since it's still pretty rainy out! I cooked this today and it was delicious, I followed the recipe almost as is - I may have been heavy handed on the butter (i used dairy butter) and I used soya milk. One thing I would say is I LOVE PASTRY, so when I make this again I am making it with a base. As delicious as it was, for me a pie just isn't the same without a bottom. 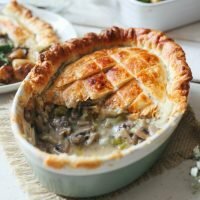 I saw this beautiful pie on your Instagram today and was totally drooling over the pastry and the creamy mushroom filling inside! It's so absolutely stunning!